The DKN Zero-Impact EMX-1000 elliptical cross trainer has an 18kg (39.6lbs) flywheel making it suitable for serious strength training and interval workouts and offers EMS brake system for super-fast resistance changes. Thanks to a very narrow 5cm (1.9”) Q-factor (distance between pedals), the EMX-1000 is ‘Zero Impact Elliptical’ perfect for those who are prone to hip stress or lower back pain. 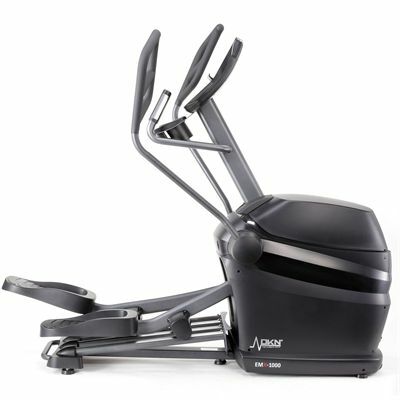 With 32 levels of digitally controlled resistance and a great selection of 16 varied training programmes, the cross trainer provides highly effective and entertaining lower and upper body workouts. 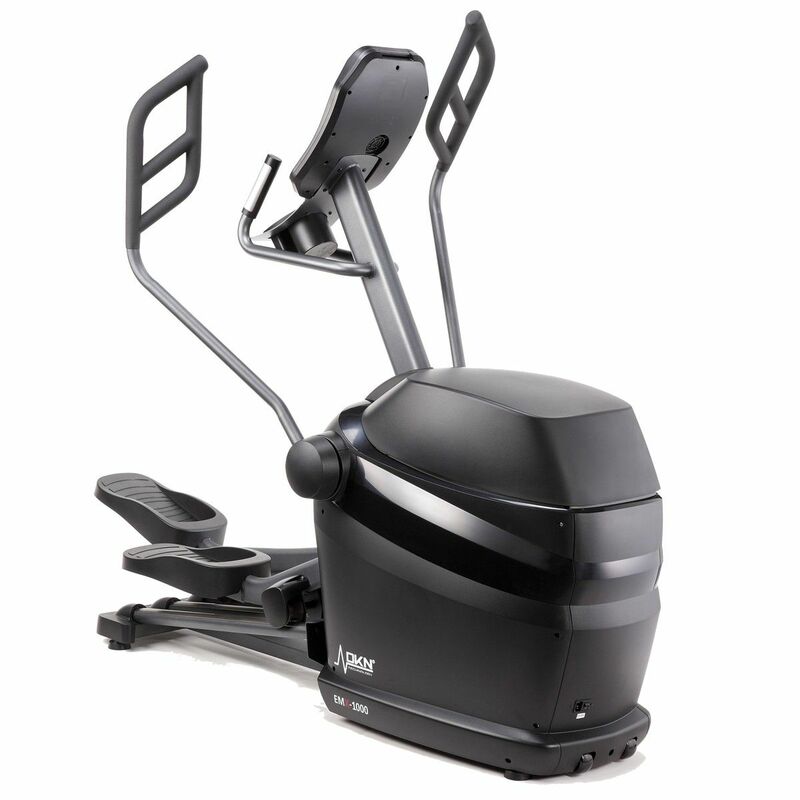 To easily adjust the motion, there is a 52cm (20.4'') stride and extra-large pedals, and the multi-grip handlebars ensure a variety of hand positions for a targeted core and upper body workout. A user-friendly backlit LCD display shows all the key training statistics and there are 4 user profiles enabling 4 different trainees to enter their age, gender, weight and height. Heart rate is easily achieved via hand pulse sensors or Bluetooth smart wireless receiver with an optional chest strap. Plus, for a more realistic training experience, the machine is compatible with Vescape and Kinomap apps. 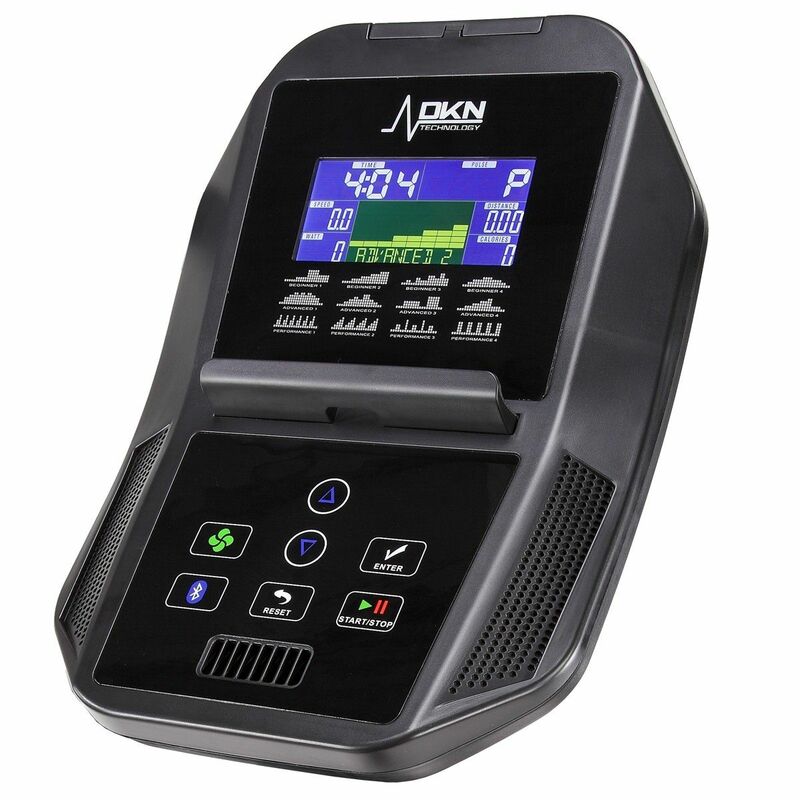 for submitting product information about DKN Zero-Impact EMX-1000 Elliptical Cross Trainer We aim to answer all questions within 2-3 days. 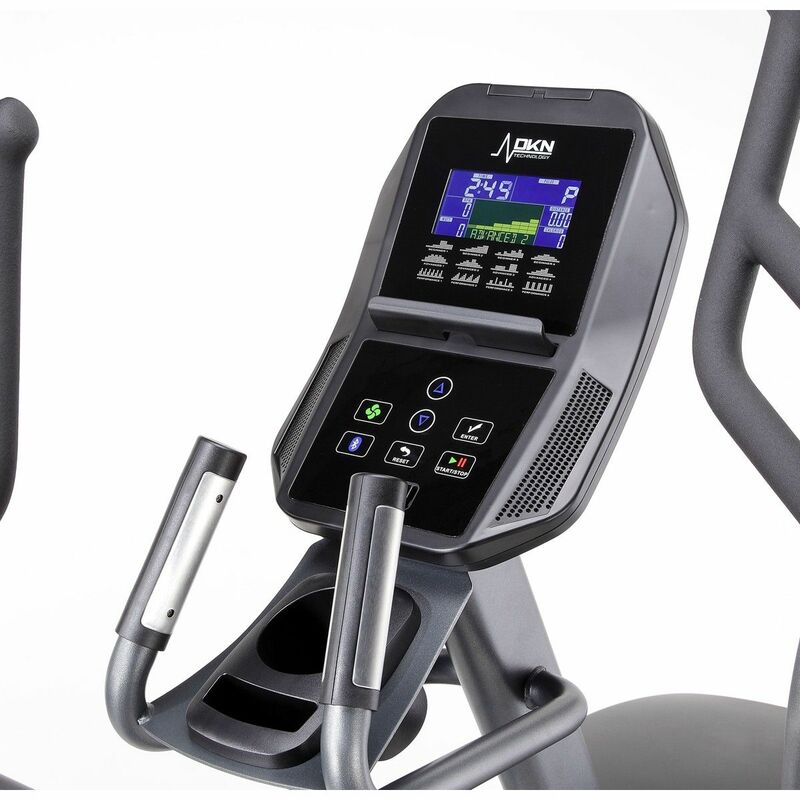 for submitting product information about DKN Zero-Impact EMX-1000 Elliptical Cross Trainer. We aim to answer all questions within 2-3 days. If you provided your name and email address, we will email you as soon as the answer is published. for submitting product review about DKN Zero-Impact EMX-1000 Elliptical Cross Trainer.